There was a family function at home and hence we were invited to Mathura to attend to it. Now those who know us through this blog would agree that we need an excuse to get out of the city and so we were up for it right from the word go. 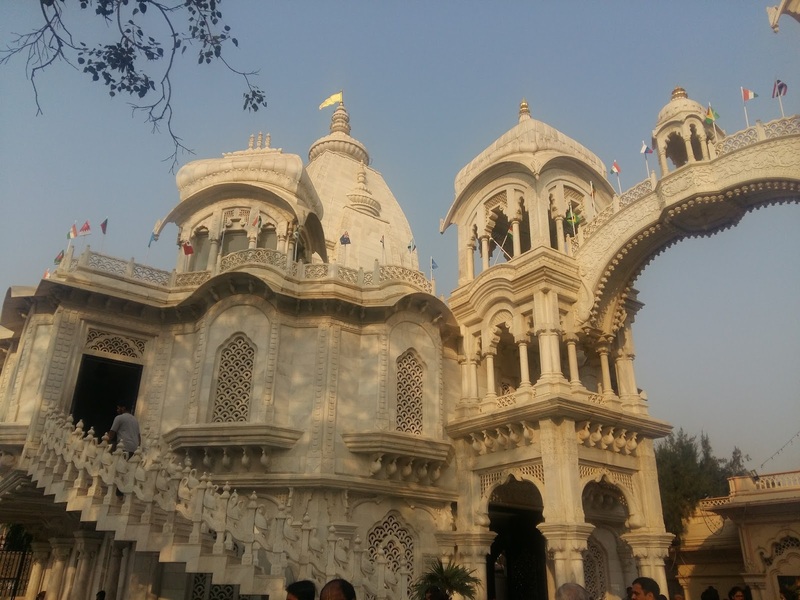 We were supposed to be there in Mathura on 12th of November 2016 for the function and so we planned the weekend there so that we had time to see the city as well. We booked ourselves accordingly - Mangla Lakswadeep Express on 12th morning. We were there at the Hazrat Nizamuddin Railway Station at 8:30 in the morning, right on the time for our journey to kick start. Right on time, the train hustled out of the platform and we looked forward to the weekend with family exploring new sites in this temple town. We deboarded the train at Mathura Junction Railway Station at about 11 AM and proceeded to the guest house. An ancient city whose origins fade into the mists of history, Mathura's strategic location at the crossroads of various trade routes - that went westwards to West Asia and the Roman Empire; northwards, via Taxila, Pushkalavati and Purushapur to Central Asia and the Silk Route and eastwards to China - ensured its position as a center of trade and a meeting point for varied cultures. Mathura is considered to be the abode of Lord Krishna and it has a great religious sanctity among the Hindus. The entire land is dotted with magnificent temples, dedicated to various aspects of his life. The twin cities of Mathura and Vrindavan, where he was born and where he grew up, still resound to the sound of his laughter, antics, and his magical flute. The city has one of the oldest historical records and hence enjoys a documented history of sorts. The city may not be a big metro but the rustic and religious touch give it a unique charm. The guest house was located in the twin city of Vrindavan and took about half an hour from the station. Once there we met the family and delved in endless chatter about things at our place and theirs. We enjoyed great local breakfast and involved ourselves in the traditional rituals that went with the function. We did not realize how quickly the time went by and it was already evening when we got over with the rituals. It was indeed fun and now it was time to head out and explore this temple town, the Krishna Nagari. The first point on the list was the famed Prem Mandir. Prem Mandir is really a beautiful place in Vrindavan and looks more like a tourist spot rather than a spiritual place, which doesn't mean that temple has less spiritual value. Prem Mandir is one of the most popular temples in Vrindavan and has rich interiors and exteriors. The temple is set up in vast compound housing laws and life-size models of various events from Lord Krishna's life. There is an area with musical fountain depicting the life of Krishna and introducing about the sect which has set up this temple. The glitter and glamor associated with the temple are evident in every corner. We had some snacks in the temple cafeteria to get some rest before proceeding. Next stop was the Banke Bihari Temple. 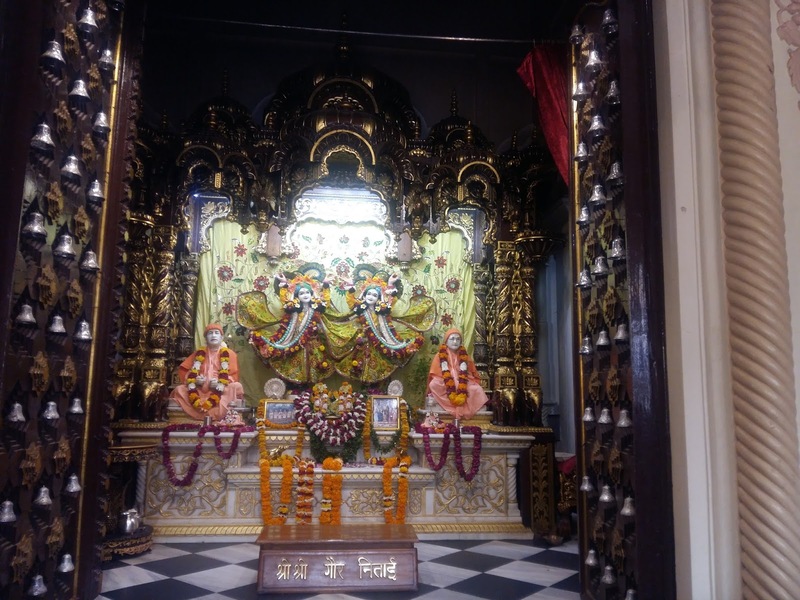 This temple is the most popular shrine at Vrindavan. The image of Bankey Bihari was discovered in Nidhivan by "Swami Haridas", the great Krishna devotee, belonging to the Nimbarka sect. It was built in 1860 and is a classic example of Rajasthani architecture. The facade of arches and pillars gives the three-story temple a distinctive look. We were there at the temple for the Aarti and had to wait for some time. As soon as the aarti ended, the rush of devotees did make the situation chaotic but one should expect a crowd at any religious place of fame in this country. The by-lanes leading to the temple are cluttered on both sides by numerous shops selling items for deities - dresses, Prasad, and jewelry. By the time we were out of the temple, it was already getting late and we proceeded towards the last point of the day - the dinner. 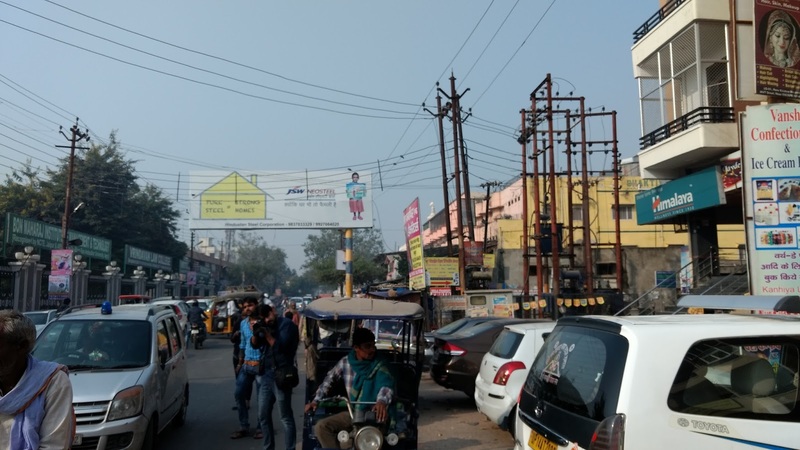 We had chosen a typical North Indian Dhaba - a roadside small restaurant, Agrawal Restaurant. The place was located in the outskirts of the city and we had to drive for about twenty minutes to reach there. Though the eatery did not have a lot of pomp associated with it, yet the food had its own raw charm and freshness of authenticity. We had a full course of North Indian fare and enjoyed every bit of it. We returned to the guesthouse and called it a day. Next morning, we had a relaxed start and woke up to more chit-chat and banter. It was an exciting time for everyone to share a picnic together. After freshening up, we were ready to leave for another shot at getting to know the city. The first destination of the day was the ISKCON Temple. The temple is a spectacular white marble structure and is known as Sri Krishna- Balram Temple. The sanctum in ISKCON temple is approached through a square courtyard, lined by columned passageways decorated with bright murals depicting episodes from Krishna’s life. It is said that the tamal tree in the courtyard is the same one under which Radha used to wait for Krishna every evening. Adjoining the temple is the samadhi of "Shri Prabhupada" the founder of the Iskcon sects. A gurukul and a school of yoga are parts of this temple complex. We had some light snacks at the cafeteria. This was followed by a quick breakfast at Bharti Food and Restaurant where we enjoyed the local breakfast in true raw style. 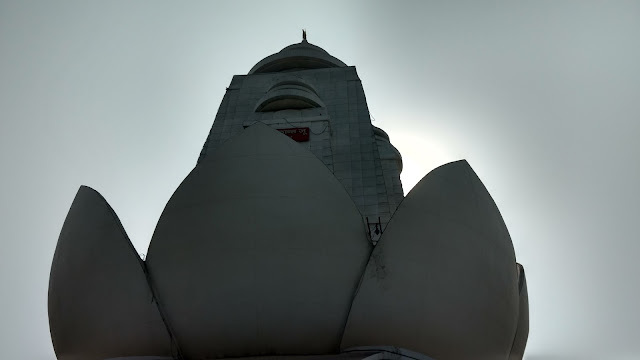 Next, we visited the Lotus Temple - a 125 feet temple of Radha Krishna shaped as a giant lotus flower. Surrounding the petals of the lotus, there are ponds which give the feeling of Yamuna River after entering the temple. With gardens, lawns and fountains all around, the place is a pleasure to be at and spending some time there with family is a divine feeling. Under the aegis of God, one finds peace and calm on its giant stairs. This was the end of our time in Mathura and we realized that the time was right to proceed to the Railway Station. We were there on the platform number 1 of Mathura Junction at about noon to board the Hirakud Express for New Delhi. We arrived home by 5 in the evening and reminiscing about sweet memories from the family trip. short and exact advice... Thanks for sharing this one.